After being asked to write a blog about how the PR industry has changed over the last decade (or two), I have been struggling to know where to start. But something happened at the weekend in Atlanta that gave me an idea. It’s true lots of things have changed in the PR industry. Account executives of the 90s will remember fulfilling some extraordinarily tedious admin tasks like updating a book of media contacts with stickers and learning how to fold press releases into envelopes to ensure journalists noticed the branding at the top of the letterhead first. When fax machines were replaced by email, some journalists tried to hold back the wave of change, preferring to do things the way they had always done, and we had little choice but to heed their preferences. The digitisation of PR has allowed us to achieve much more in a shorter space of time and most of us are masterful multitaskers who have embraced technology to enable us to work harder and smarter. But not everything has changed. The volume of communication being shared between PR professionals and their media contacts has skyrocketed and ensuring your client’s content gets noticed has become increasingly difficult. Whereas once these relationships were consolidated by regular phone conversations about the day’s news stories, most national journalists today are simply unable to answer the phone, as doing so would prevent them from doing anything else. To get their attention, the best PRs have learned to work around the preferences of individual reporters – knowing the best time of day to pitch an idea and the messages that are most likely to resonate. A 30-second call every few weeks or even less in some cases, is enough to maintain the relationship, as long as the content or information being provided is good quality. During these snatched opportunities to speak, there is one thing that makes a good PR person stand out – and it’s not just knowledge or access to expert insight – it’s passion. The art of sharing information over the phone in an engaging and passionate way is still just as important as it once was. Without it, the PR’s emails are in danger of not being noticed at all. 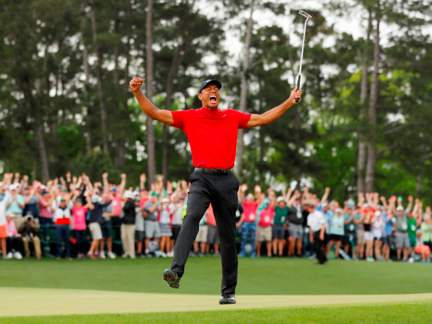 When Tiger Woods won his fifth Green Jacket and 15th championship in Atlanta at the weekend he was passion personified as he threw his arms in the air and celebrated his success with his family. In that moment, the scandal and pain of past experiences was replaced with new, much happier memories. Tiger had reinvented his own image, simply by sharing his passion and being himself. Taking a lesson from Tiger, whatever else may have changed, the best PR is still characterised by the ability to communicate with passion and authenticity.